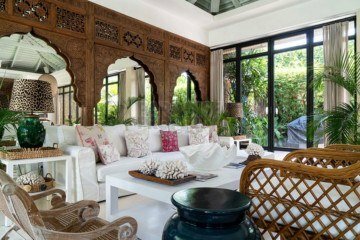 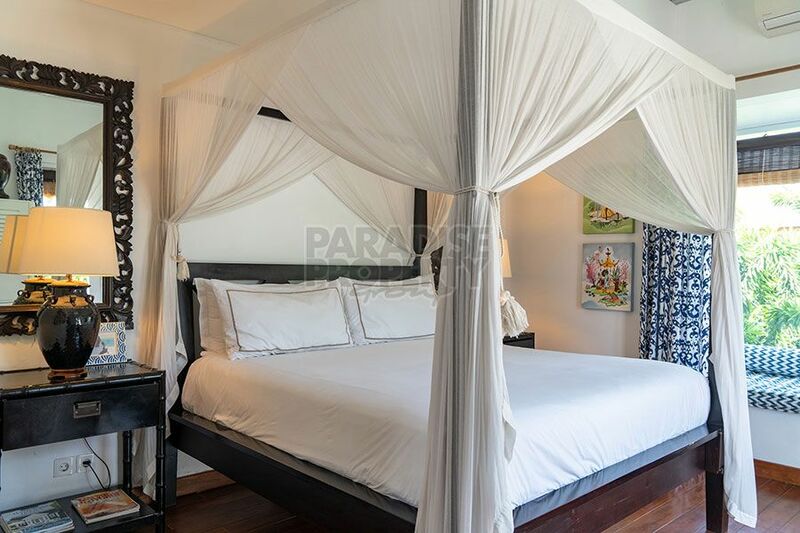 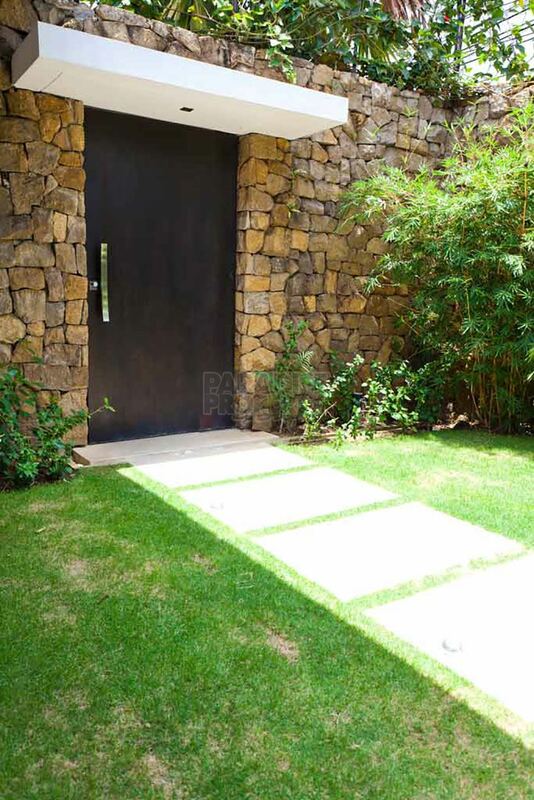 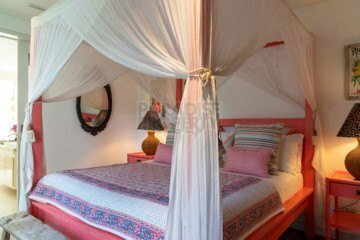 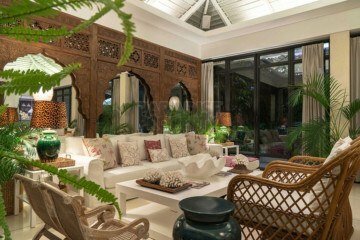 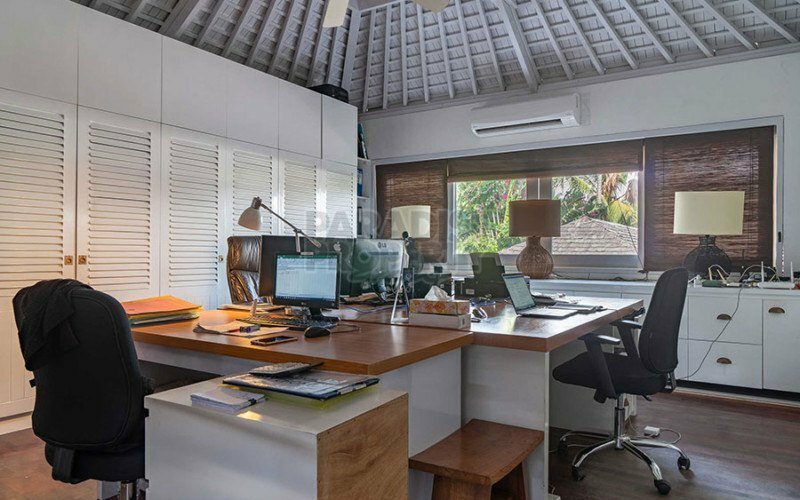 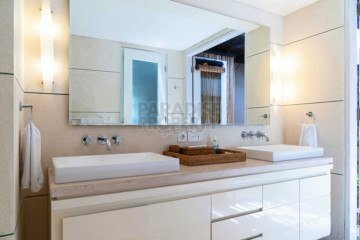 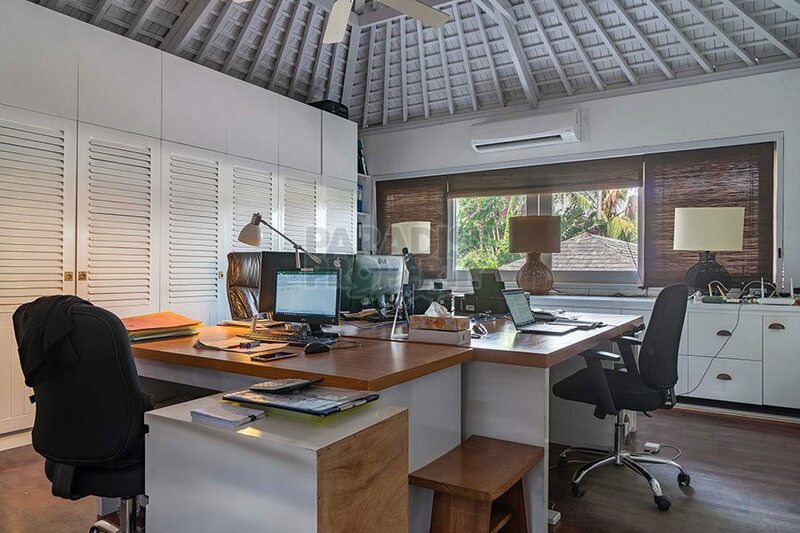 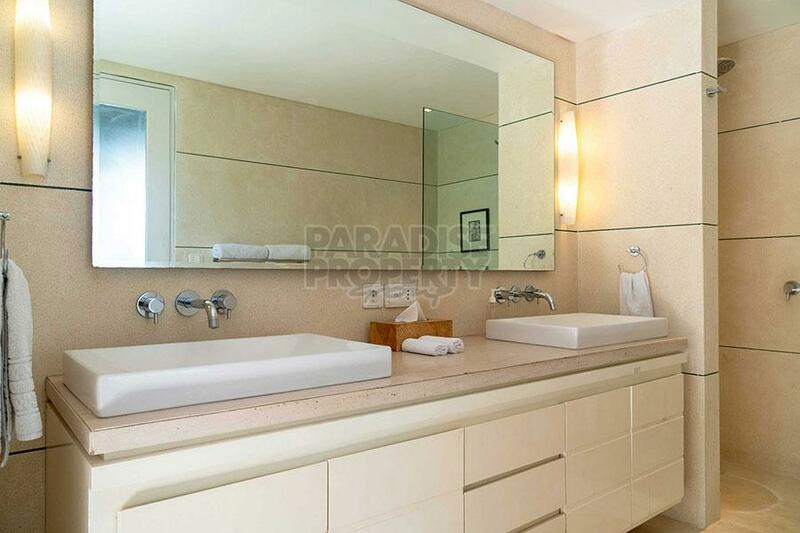 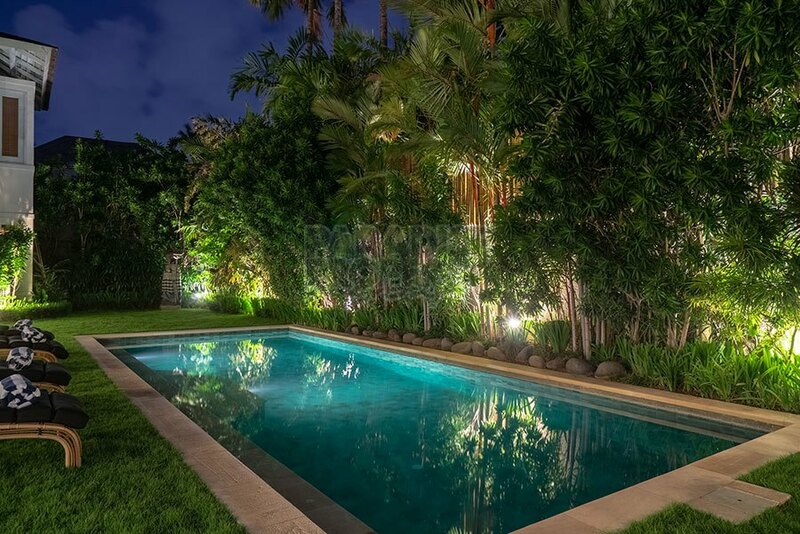 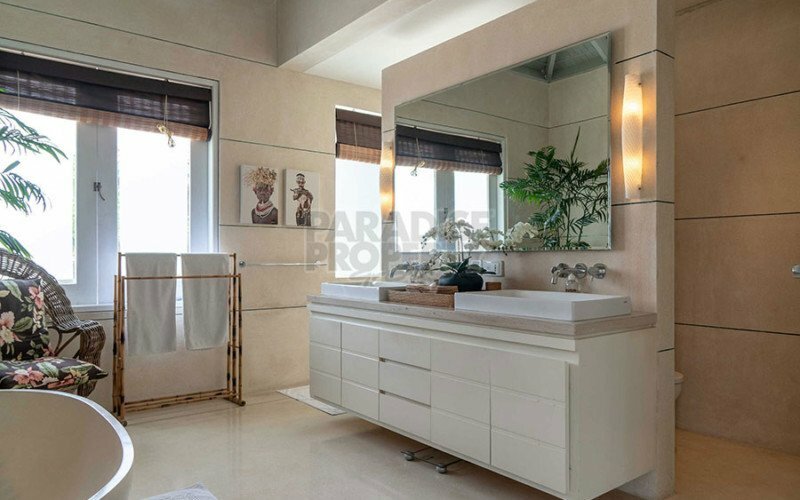 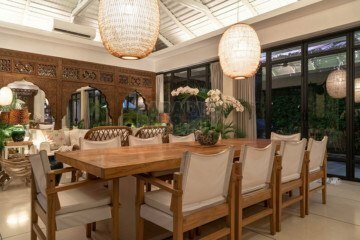 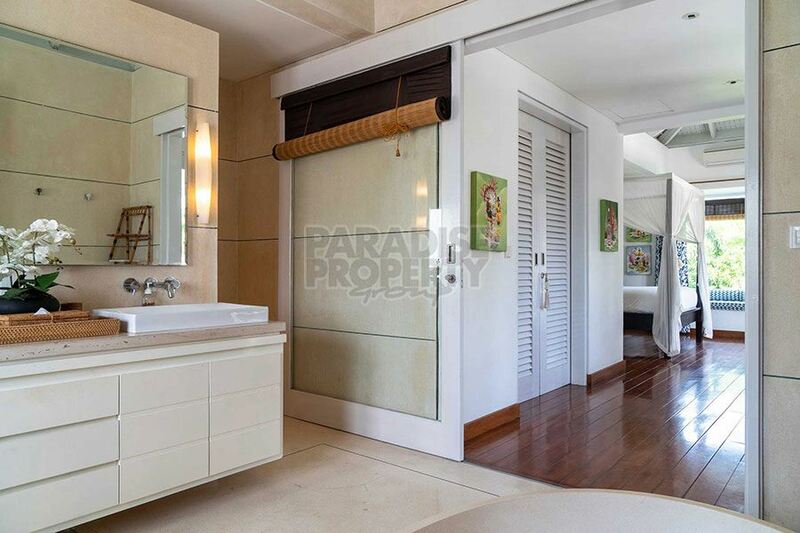 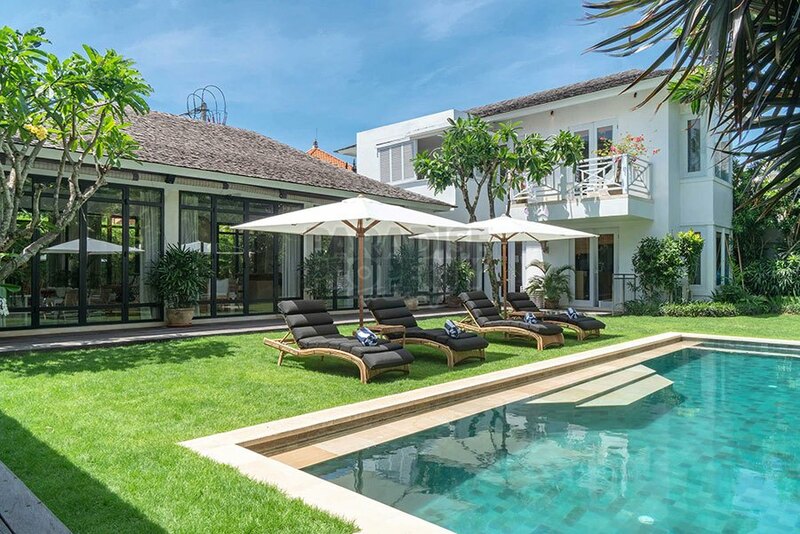 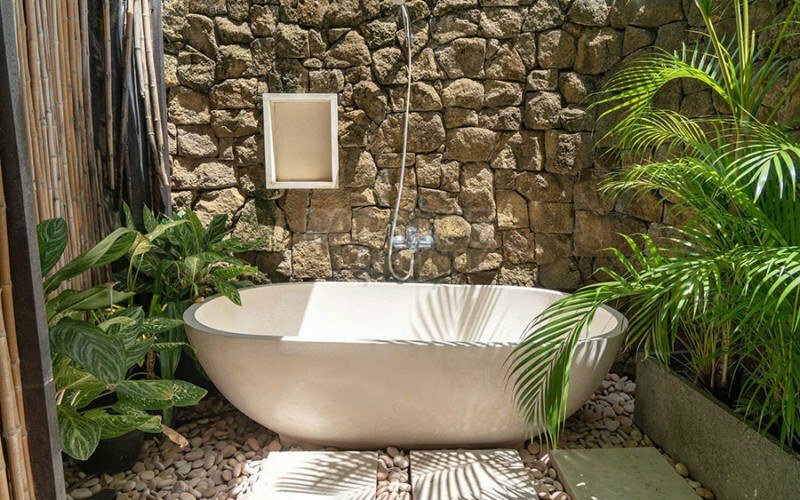 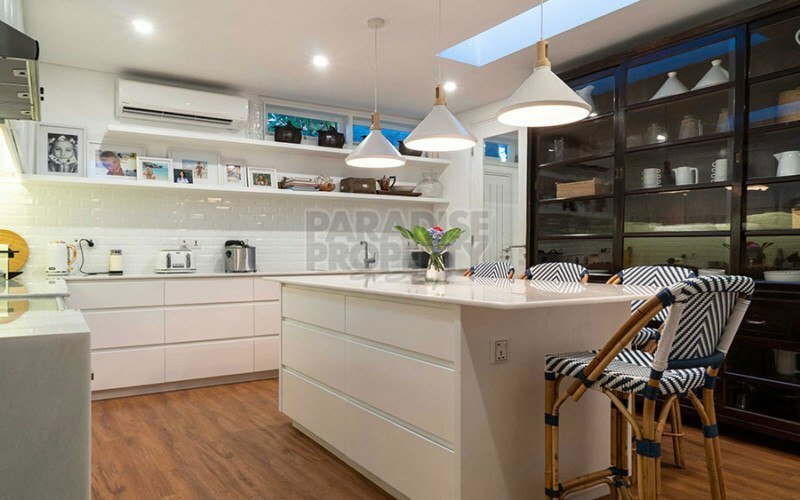 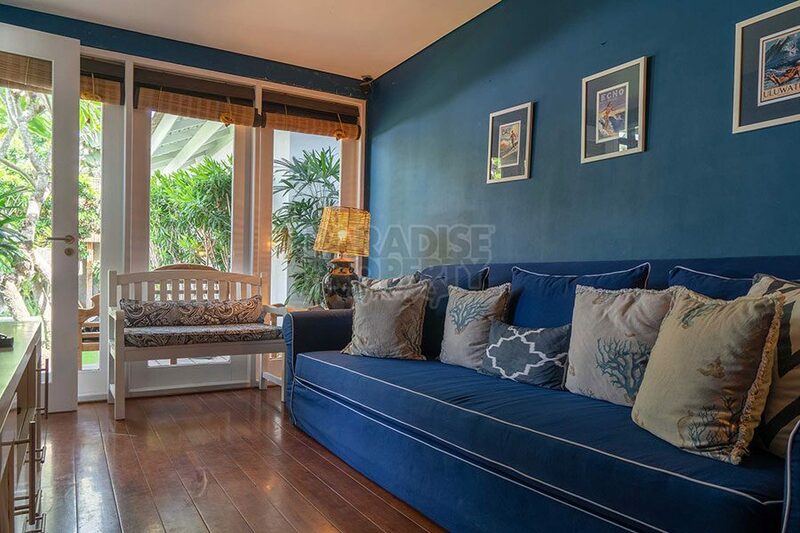 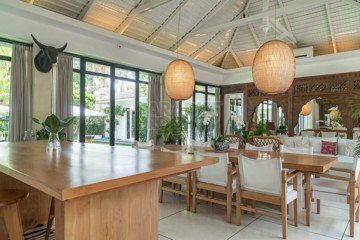 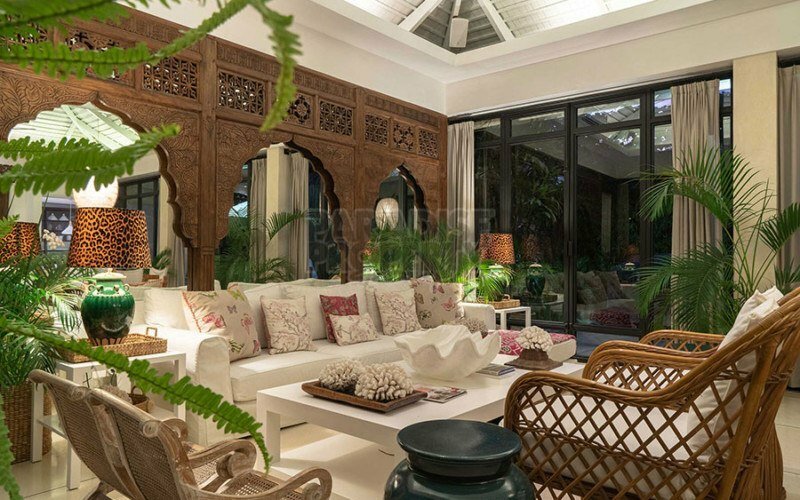 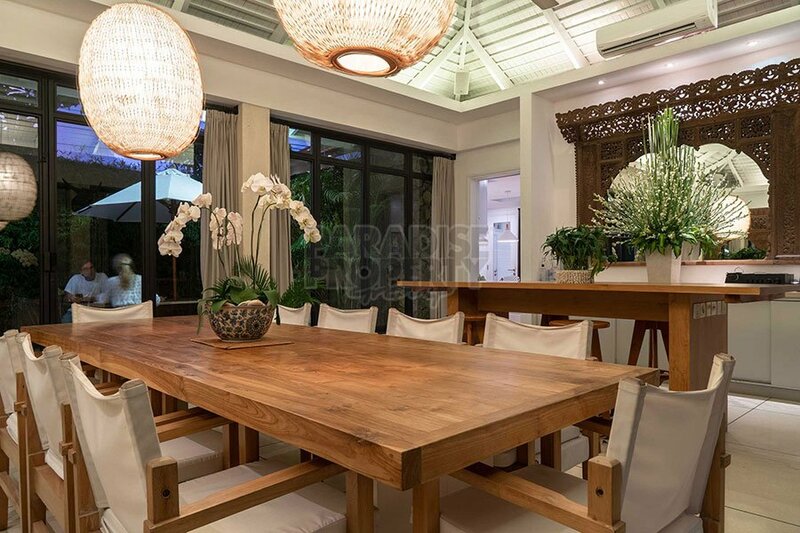 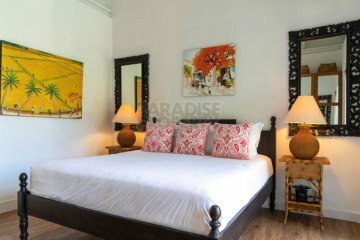 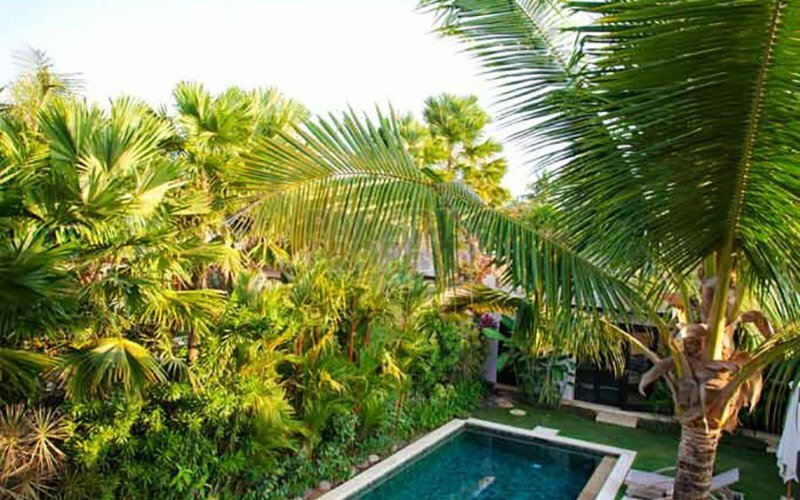 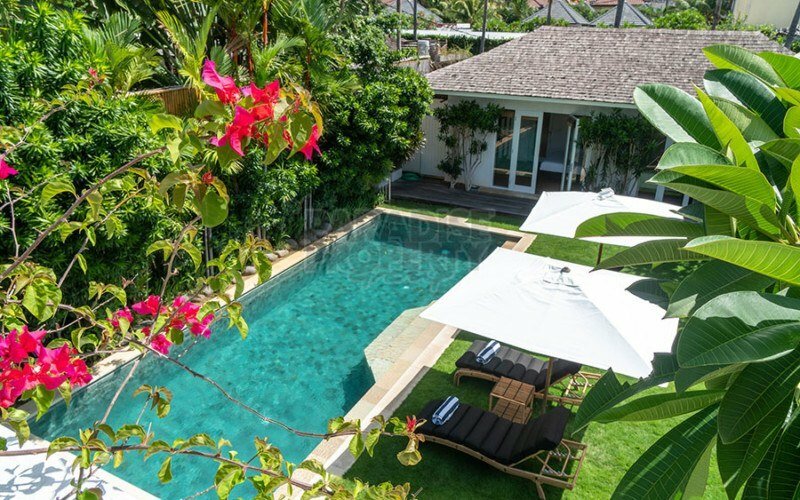 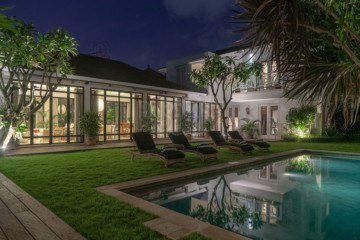 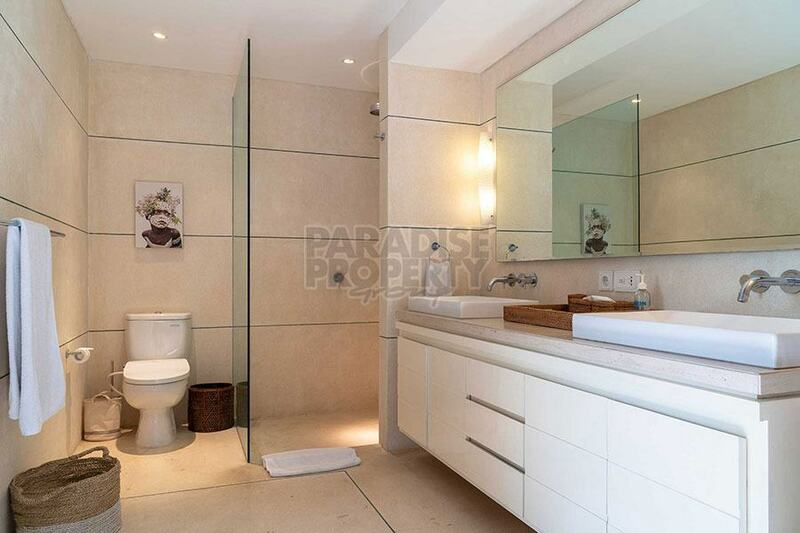 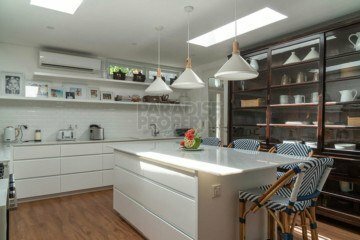 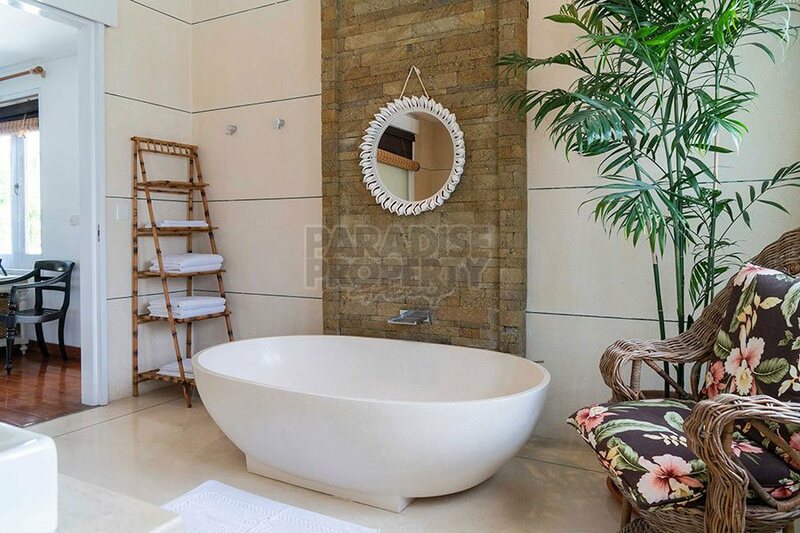 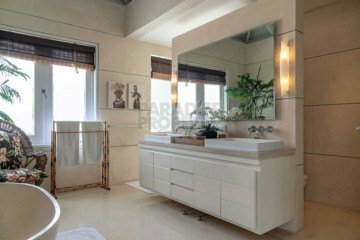 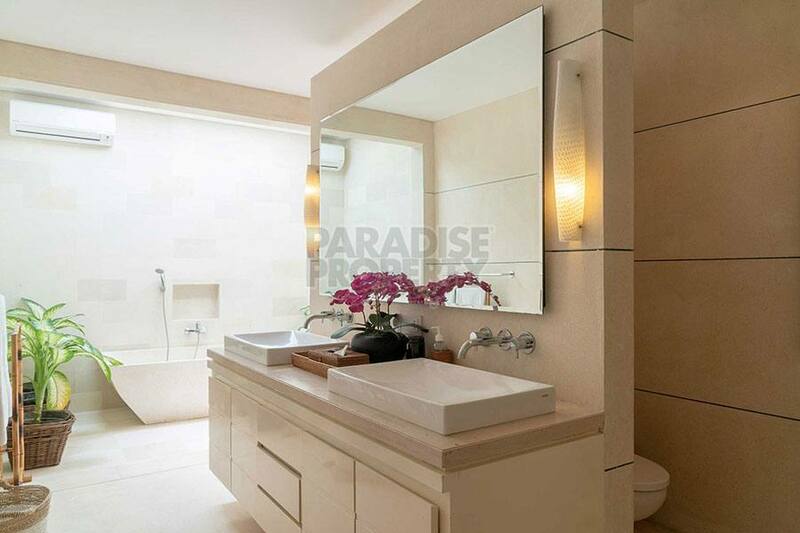 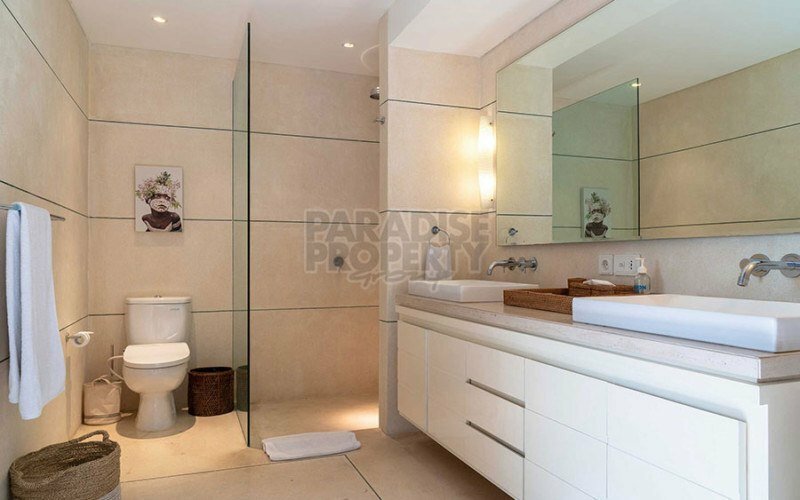 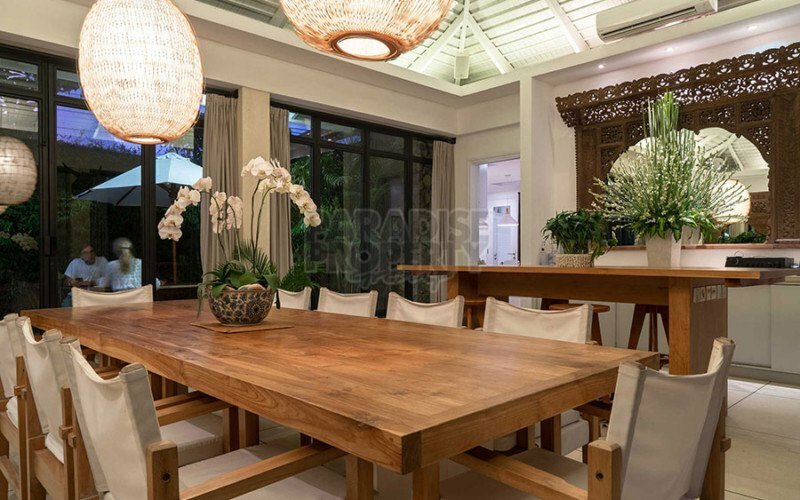 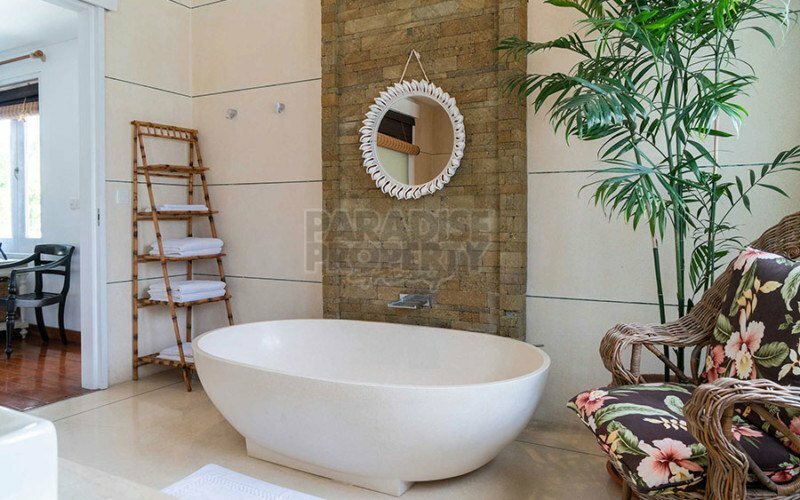 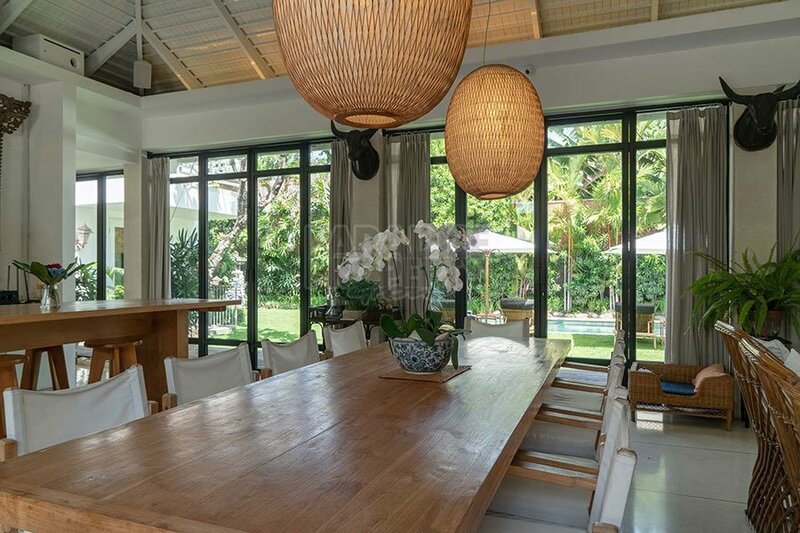 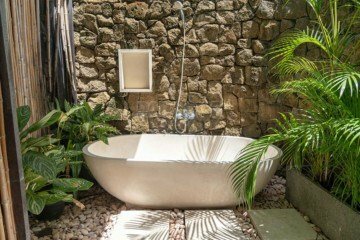 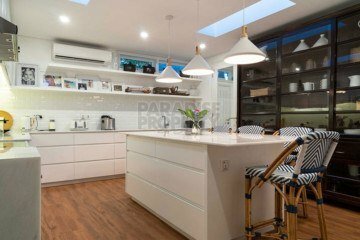 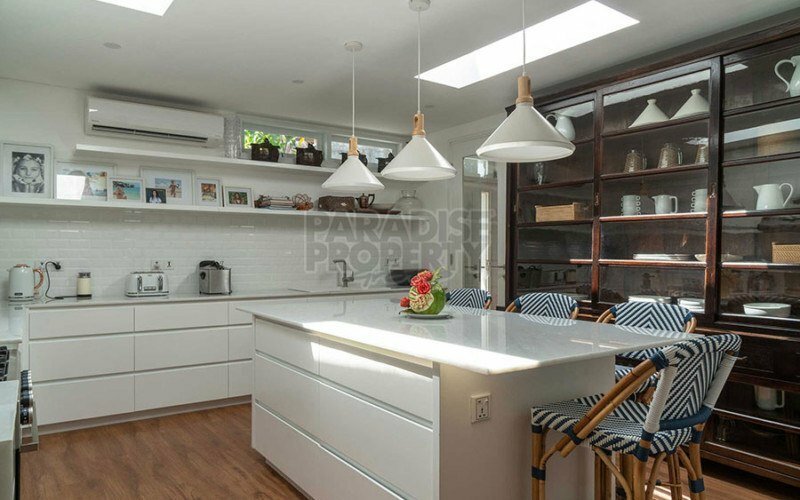 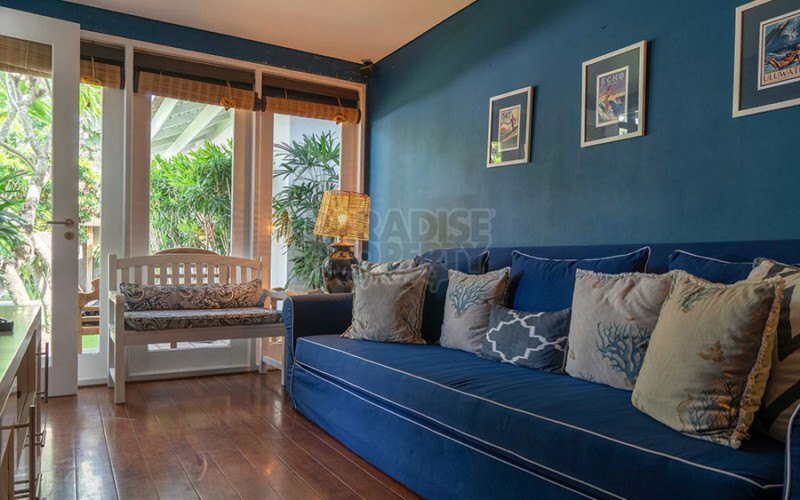 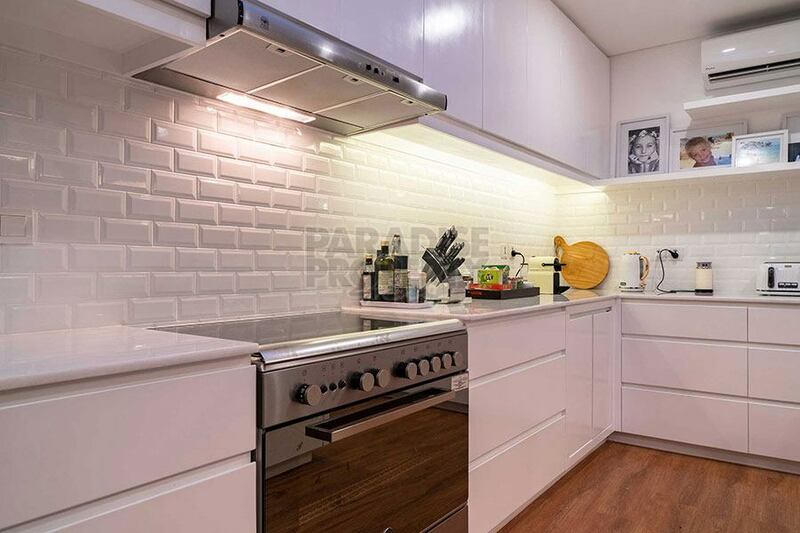 This luxurious, impeccably presented villa is in a highly sought after location in Petitenget, approximately 500 meters from the beach of Seminyak. 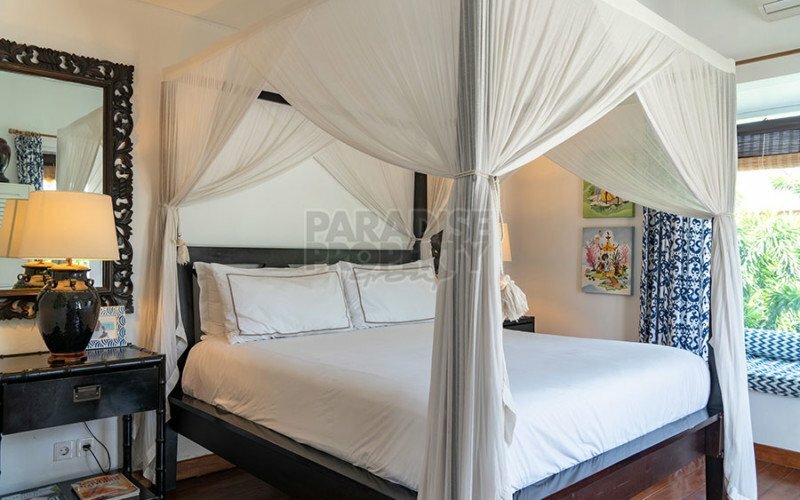 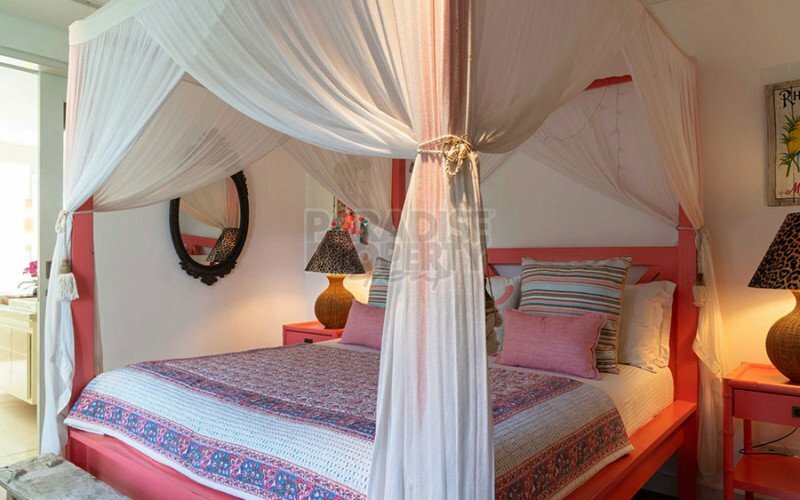 This 2 storey villa has 5 large bedrooms, 3 of them with king size beds, 2 with twin beds and 4 with en suite bathrooms. 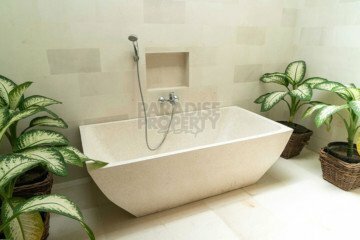 Four bedrooms are located on the ground floor and the master bedroom is on the upper level. 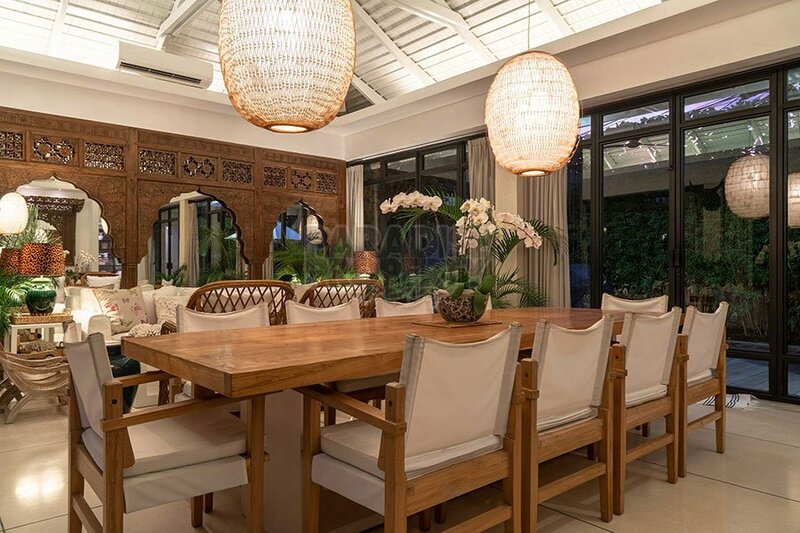 A spacious, closed living area with sliding doors facing the pool and comfortable seating for 6 people and a dining area for 10 people, faces a large pool and outdoor entertainment area. 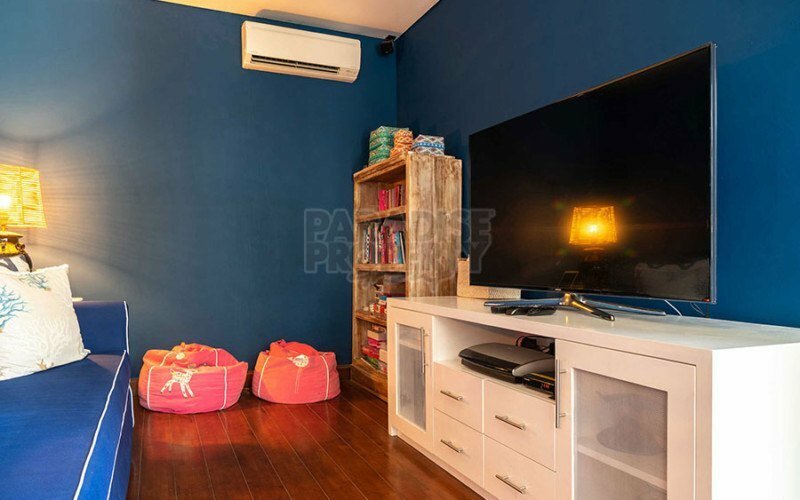 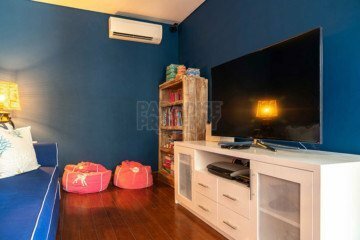 There is a separate kitchen and an entertainment room that includes a t.v, cd/dvd player and a stereo sound system. The villa was built in 2008 and recently has been thoroughly refurbished. 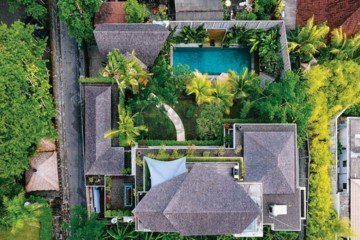 Easily accessible, this amazing property is located within 500 meters of the beach and popular venues like Potato Head, La Lucciola, Mexicola and Alila are all within 200 meters. 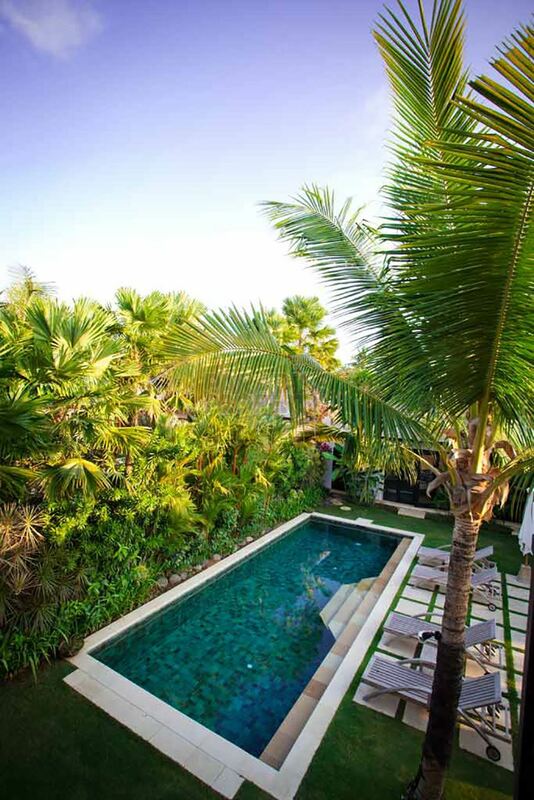 Some of Seminyak’s best shopping, as well as many great cafes and fine dining restaurants are just minutes away. 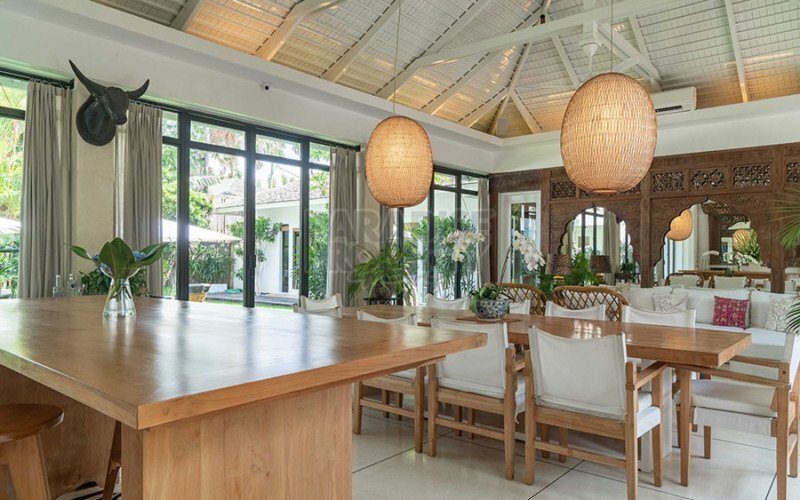 Although right in the heart of all the action, the villa is set in a quiet location and feels surprisingly private and secure. 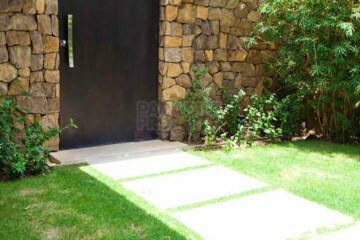 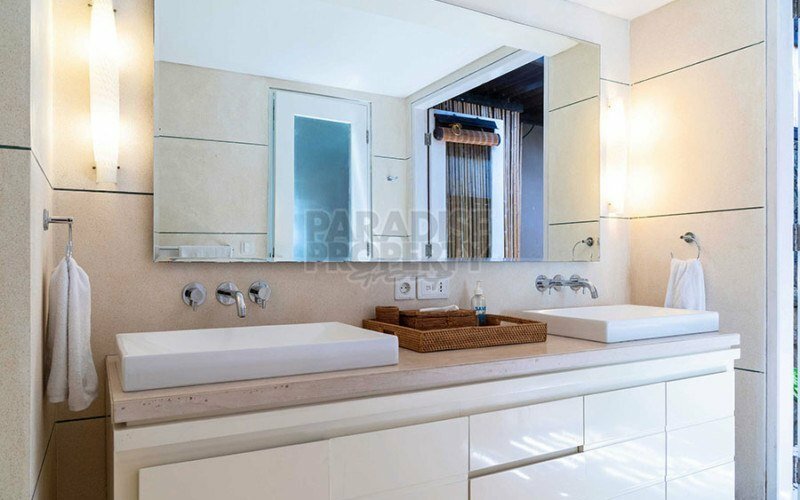 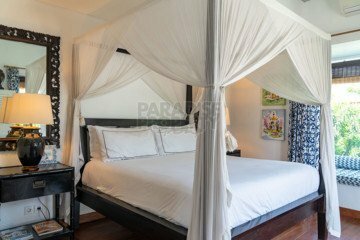 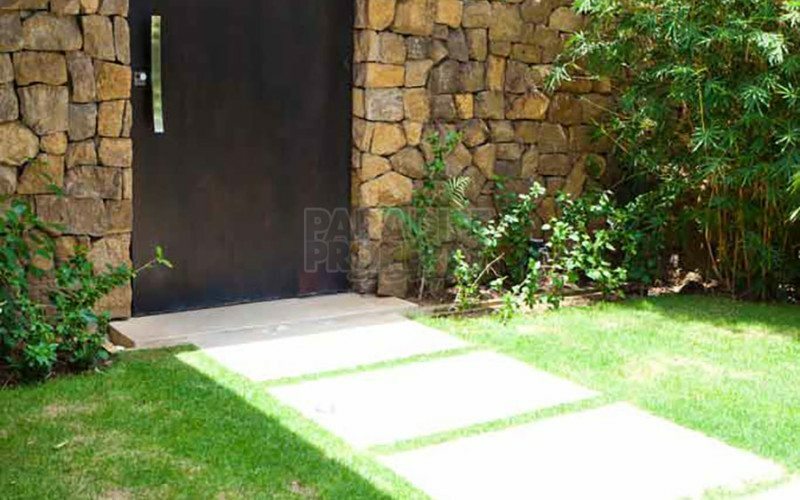 The villa comes with a parking space for 2 cars, a large fully equipped kitchen and storage space, staff toilet and laundry area and also a separate office space. 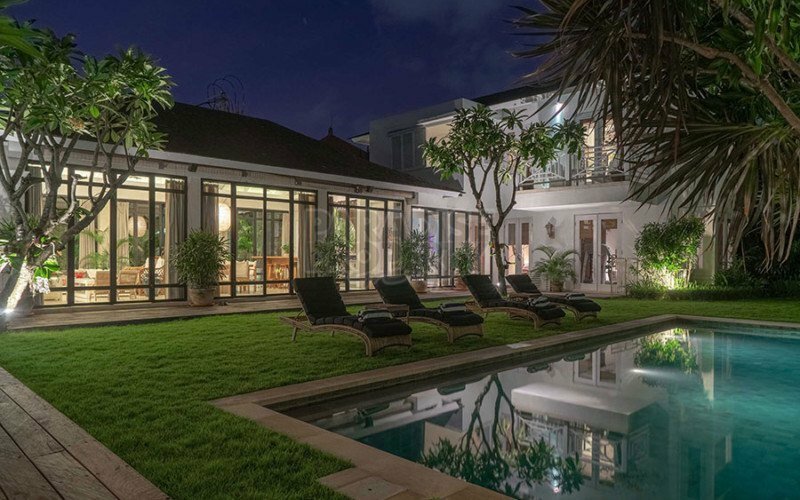 This Freehold property is available for sale at: IDR 24,000,000,000 and can be used for private residence or as an investment property providing impressive returns.